Mojhtestasse – Cultural Heirlooms, New album out now! A mere year after she released her acclaimed debut album, Marja Mortensson´s second release is ready! This time around she has chosen to let her amazing voice shine even more clearly – through a minimalistic and acoustic production where her Sámi roots become more prominent. The unique trio, featuring Daniel Herskedal on tuba/bass trumpet and Jakop Janssønn on percussion, creates an intimate setting and a lovely soundstage. 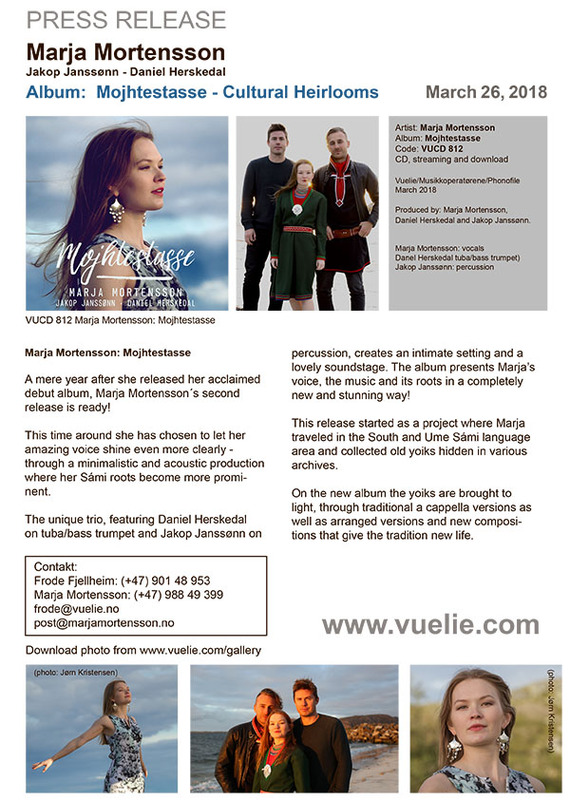 The album presents Marja’s voice, the music and its roots in a completely new and stunning way! 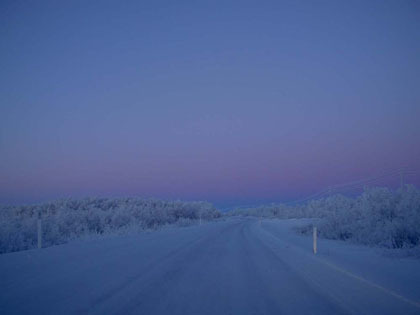 This release started as a project where Marja traveled in the South and Ume Sámi language area and collected old yoiks hidden in various archives. On the new album the yoiks are brought to light, through traditional a cappella versions as well as arranged versions and new compositions that give the tradition new life. 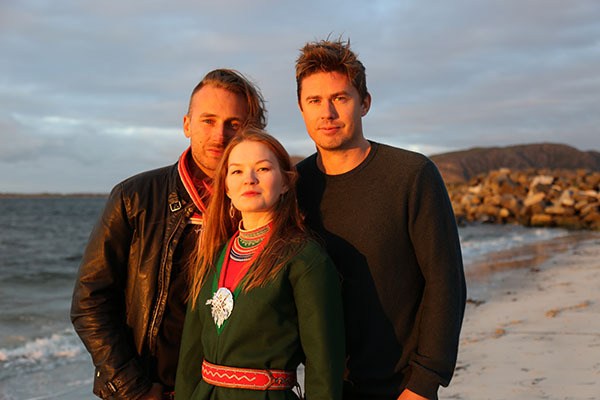 The music is deeply rooted in Marja’s Sámi heritage, but with a uniqueness that the trio has developed through giving a series of concerts where the material has been allowed to evolve over time. The arrangements and compositions therefore appear to be fully developed and comprehensive. The music is conveyed with the masterful qualities the trio possesses both instrumentally and vocally, and becomes timeless music which touches you deeply.